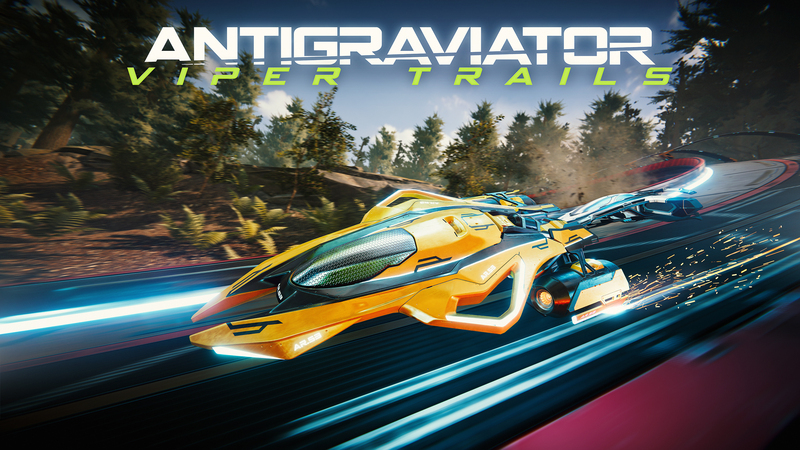 We’ve teamed up with Iceberg Interactive to give away ten Steam keys of their anti-gravity racer, Antigraviator! The VIPER TRAILER DLC showcases three new racetracks that wind between the forests and ravines of the Orval system. With a new racing mode, Hybrid Mode, the Viper Trails DLC also brings more variety to the speedways of Antigraviator. All tracks can also be driven in Mirror Mode, adding even more re-playability. Three new drum & bass tracks specially produced by Dutch electronic artist Alex Meza complement the new racetracks. These Steam codes include base game (cost is $29.99) but does not include Viper Trails DLC. You can enter for your chance to win one of the keys in the gleam giveaway below!